Most people have heard of the five love languages: acts of service, quality time, physical touch, gifts, and words of affirmation. Well friends, I am convinced there is a sixth. Food is definitely my love language. I show people I care by cooking for them. In my mind, preparing food in your home to feed others is the ultimate act of love. That's one of the ways I was loved on growing up and it's one of the ways I love on others now. I love to cook for anyone- family, friends, neighbors, you name it! Recently, my neighbor was a real life savor and deserved a baked good or twelve. I was careless when I took the dog for a walk and ended up locked out of my house for 2 hours. She welcomed my pup and me into her home with open arms and let us hang out with her until we could get back inside. I was so thankful! For that, I knew she needed something special. 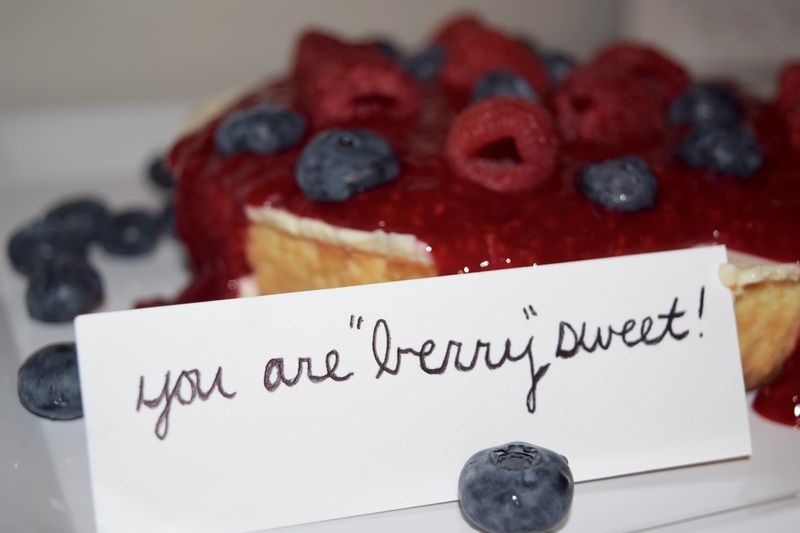 I created a cutesy little card that read "you are berry sweet" and got fancy in the kitchen! Cheesecake is one of those sweet treats that will just never go out of style. It's so classic and elegant, so I thought it would be the perfect dessert to gift to my wonderful neighbor. Now, I do have to brag for one second. This cheesecake looked and tasted amazing, but it literally took less than 10 minutes to put together. Winning! 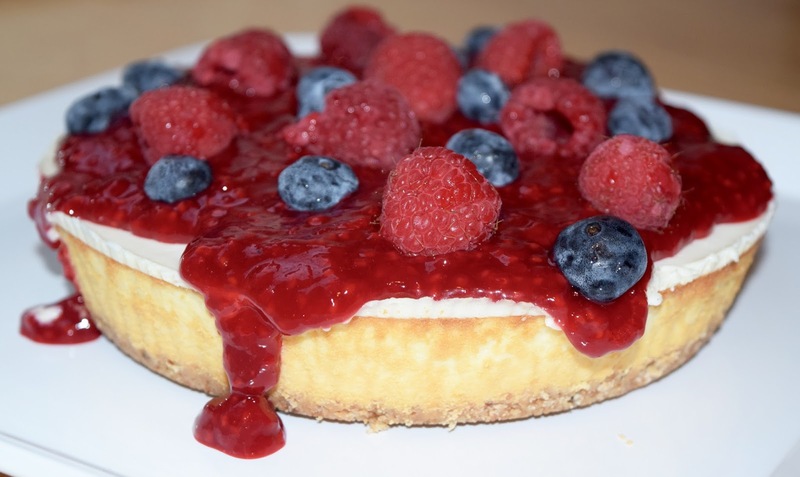 I picked up a Sara Lee Original Cream Classic Cheesecake at Food Lion as well as some berries for a homemade raspberry sauce! 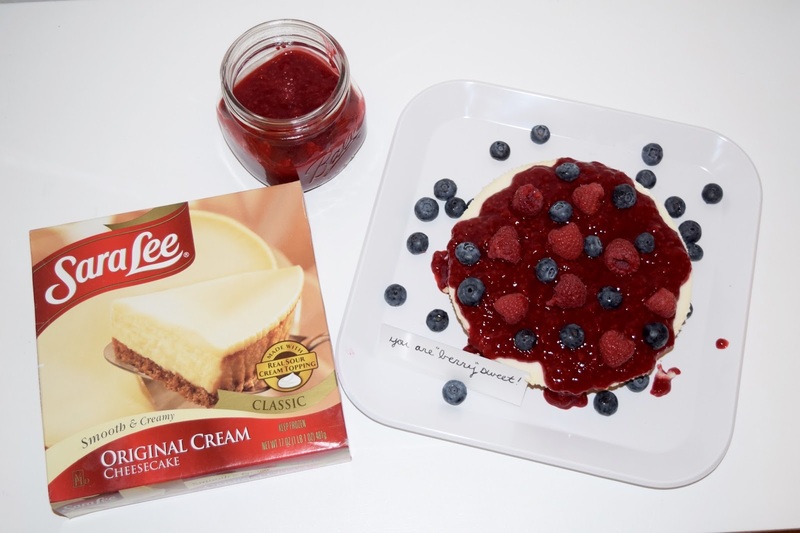 You can use the instant redemption coupon on your Sara Lee Original Cream Classic Cheesecake package for $1.50 off the purchase of one cheesecake good through 3/31 while supplies last. I thawed the cheesecake and got to work on my raspberry sauce! It couldn't have been simpler. 1. In a medium saucepan, combine 1/4 cup water, frozen raspberries, lemon juice, and sugar. Cook for 5-7 minutes over medium heat until the raspberries start to break down, stirring often. 2. In a small bowl, mix together cornstarch and 2 Tbsp cold water. Stir the cornstarch mixture into the raspberry sauce. 3. Cook for about 30 seconds or until thickened. 4. Remove from heat and stir in vanilla and salt. 5. 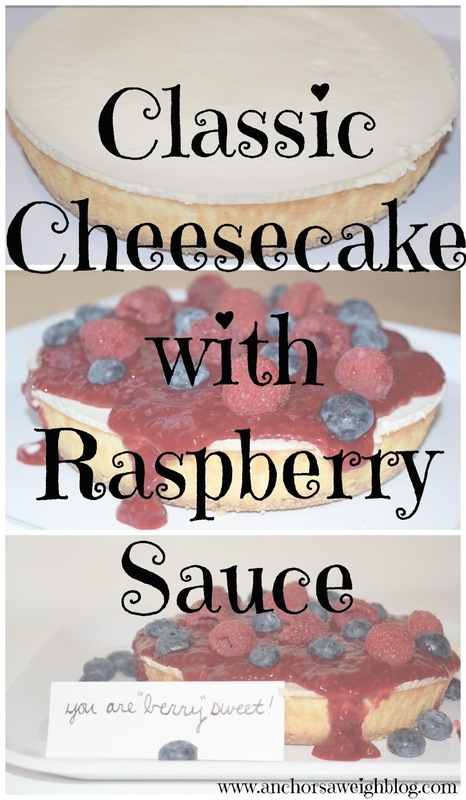 Allow your raspberry sauce to cool and then pour over top of cheesecake. 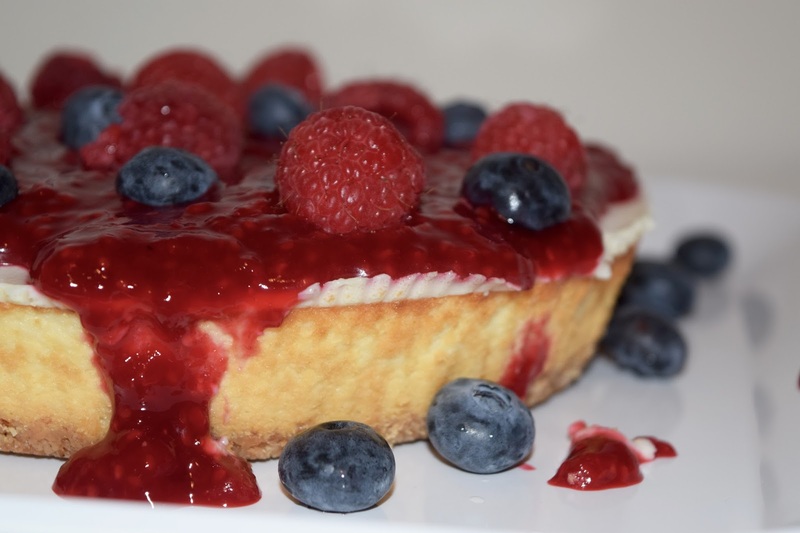 I topped mine with a few more berries to kick the "berry sweet" effect up a notch! I then added a little handwritten note. There is something so personal about a handwritten note, and I know it always makes me feel special to receive something that someone else took the time to write. It's the little things! I didn't want my husband to feel deprived, so I also made a cheesecake for him. After all, I think he is "berry sweet" too! He loved it! This may sound cliche and cheesy, but the world really just needs love. That time you take to go out of your way to make someone's day better... it doesn't go unnoticed. We all need to be loved on and feel appreciated. My favorite way to show that love is through food. How do you show love? I'd love to hear! I am pretty sure food is mine too haha. This looks delicious! I LOVE cheesecake and so does Dane, so anytime we are looking to treat one another, we go right for it! I absolutely agree that food should be a love language, hahaha.